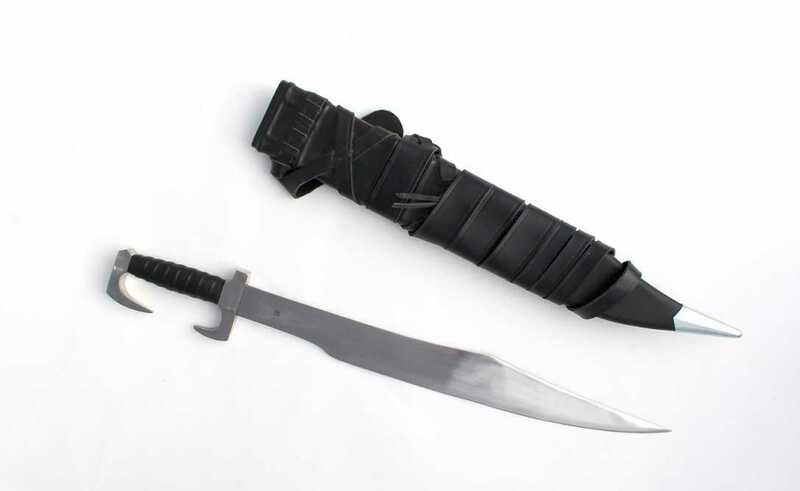 If you want a SERIOUS replica of the Spartan sword inspired by the 300 movie, this sword was made just for you.. 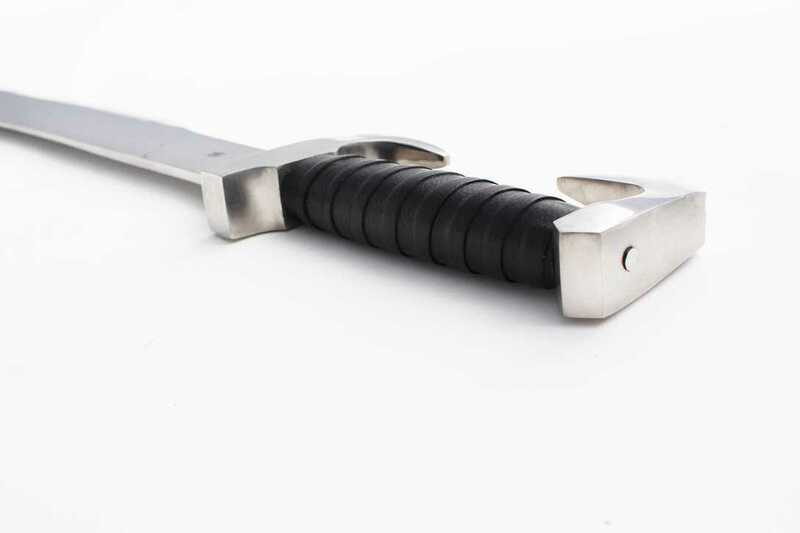 The hilt itself is extremely attractive and authentic, with a solid steel crossguard and genuine leather wrap handle. 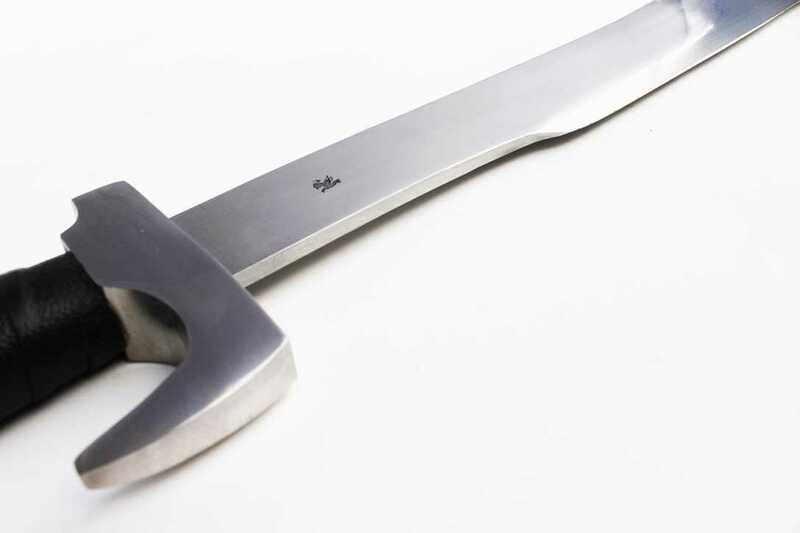 To ensure that the entire assembly is exceptionally durable, the blade is firmly PEENED to the pommel, allowing you to unleash the blades full power. constrained across the knuckles. Over all a great one handed sword. 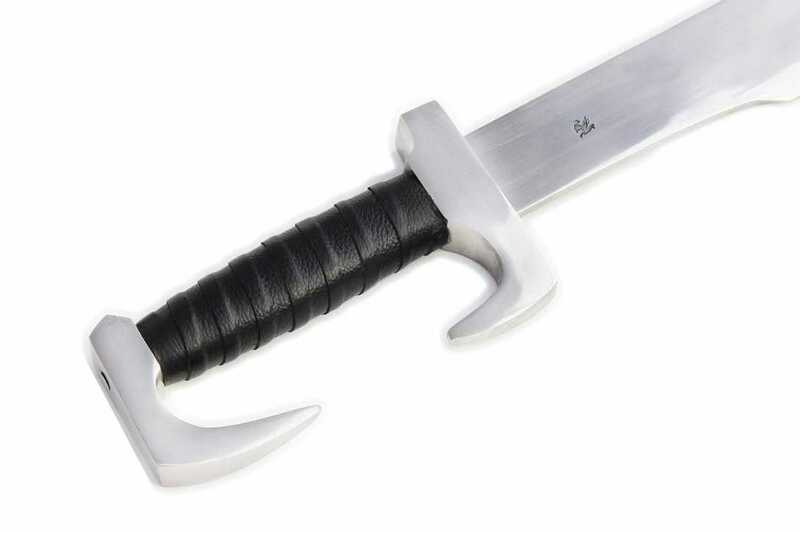 I would like to thank Eyal at Darksword-armory again for letting me test another DSA blade and Paul at The swordbuyersguide for his great sword and review site. Thank you for your time. Jason Woodard.